Triple insulated Nitrous Express Race Hose has gained popularity and will soon replace most steel braided hose on race cars. Not only does it insulate better resulting in less need for purging but it also out-flows the traditional steel braided hose. 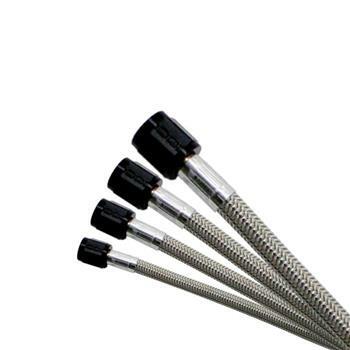 All Nitrous Express nitrous systems can be purchased with your choice of “Steel Braided” or “Race Hose”. Be sure to call and tell your salesman that you want the “Race Hose”.